A look at the West Region of the NCAA Tournament, which resumes Thursday and ends with the championship game April 8 in Minneapolis. 1. 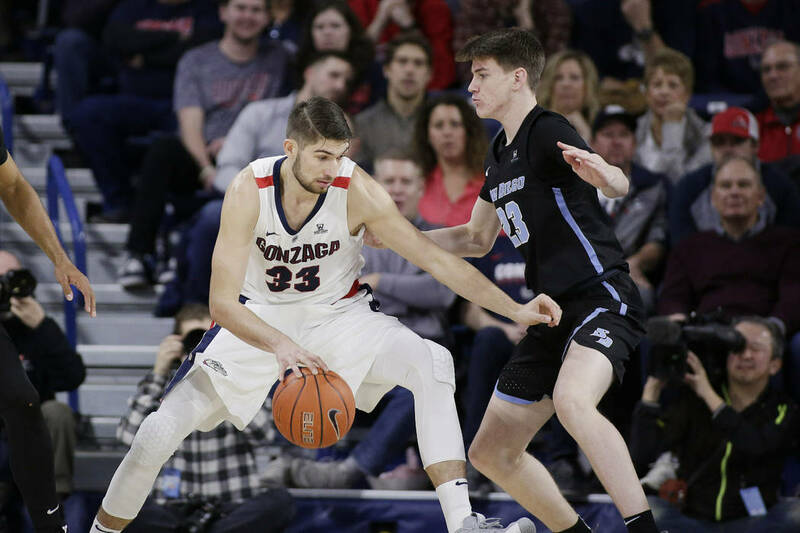 Gonzaga (30-3). 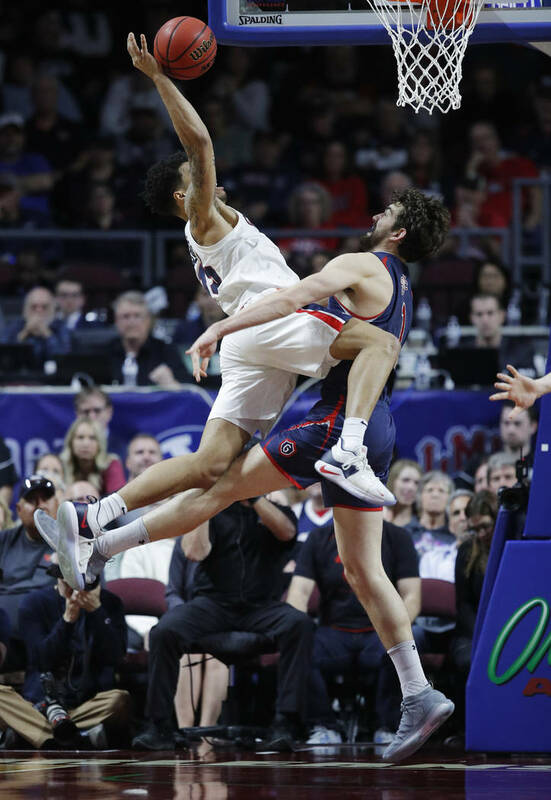 Those who didn’t watch the Bulldogs until the West Coast Conference Tournament championship game probably were stunned to see them get a No. 1 seed. It was an atrocious effort. 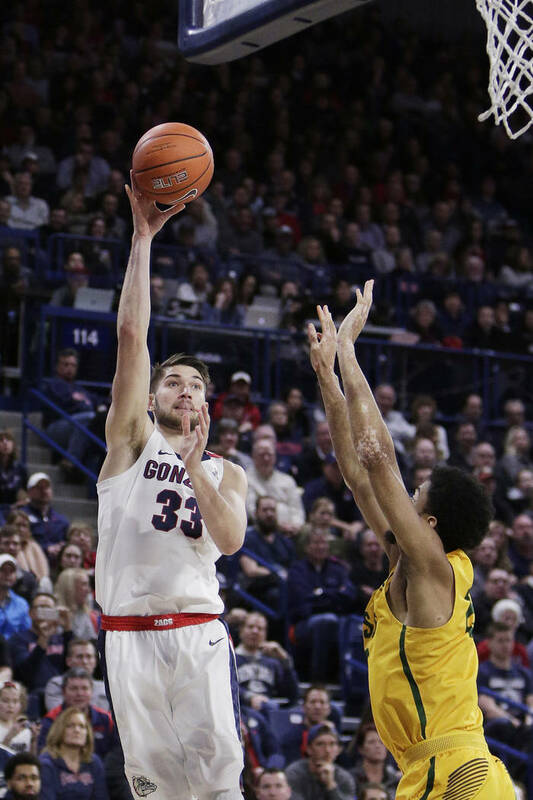 Consider it an off night rather than a blueprint on how to beat Gonzaga by grinding the game to a screeching halt. 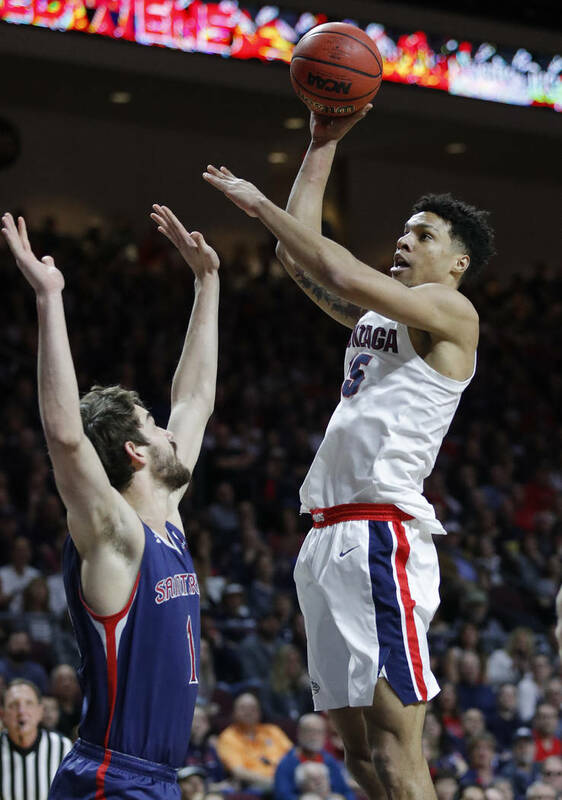 This is Gonzaga’s most balanced team, especially with a healthy Killian Tillie hitting jumpers and San Jose State transfer Brandon Clarke controlling the paint on defense. 2. Michigan (28-6). 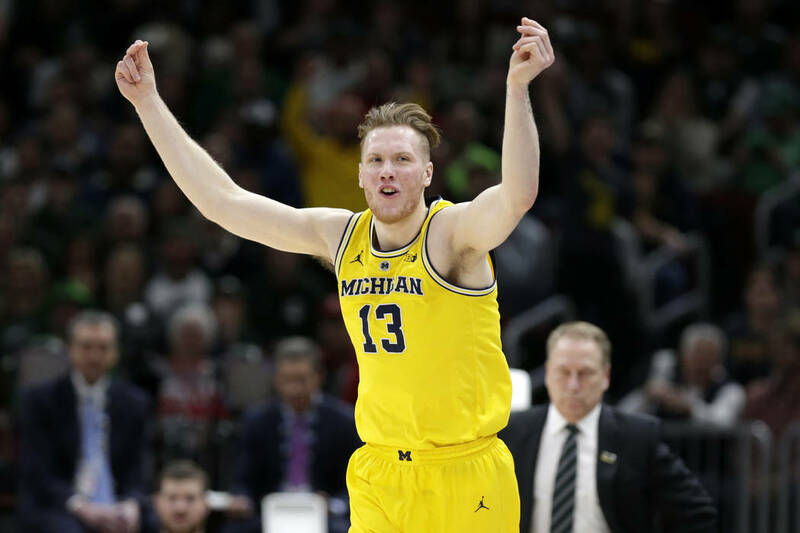 Coach John Beilein’s team, which lost to Villanova in last year’s NCAA championship game, remained one of the nation’s best teams largely because of the emergence of freshman Ignas Brazdeikis. But Beilein is the true reason. He has been one of the nation’s best coaches for a long time and is finally getting the recognition. 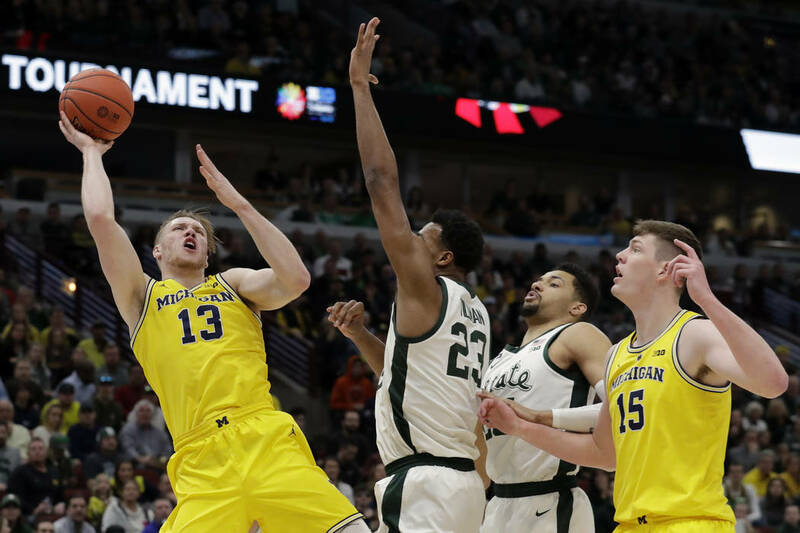 The Wolverines have the defense to reach Minneapolis, but their shooting can be suspect. 3. Texas Tech (26-6). Coach Chris Beard lost a lot of talent off last year’s successful team, but quickly rebuilt the Red Raiders into the Big 12’s co-champions. They make opponents work for every point, a trademark of Beard’s teams. 4. Florida State (27-7). The Seminoles made an impressive run in the Atlantic Coast Conference Tournament before losing in the title game to Duke. Florida State has plenty of offensive options, but no player has stepped up as a go-to scorer. That could doom them in a close game. 5. 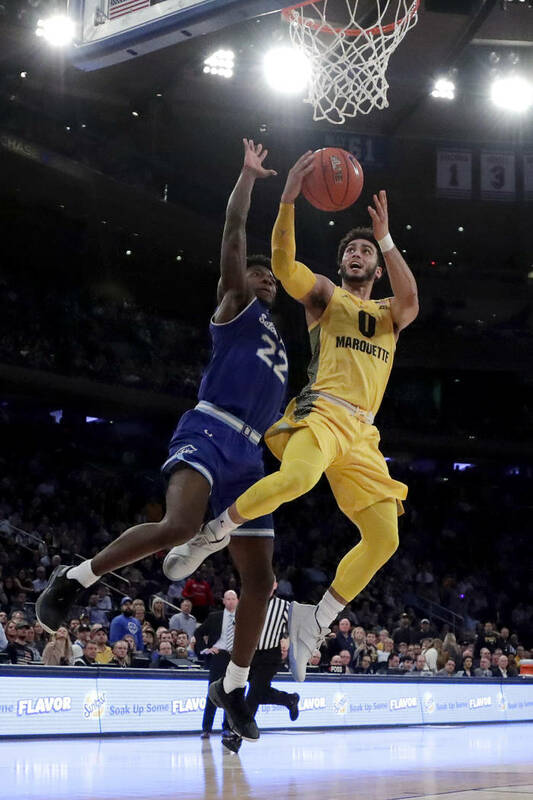 Marquette (24-9). 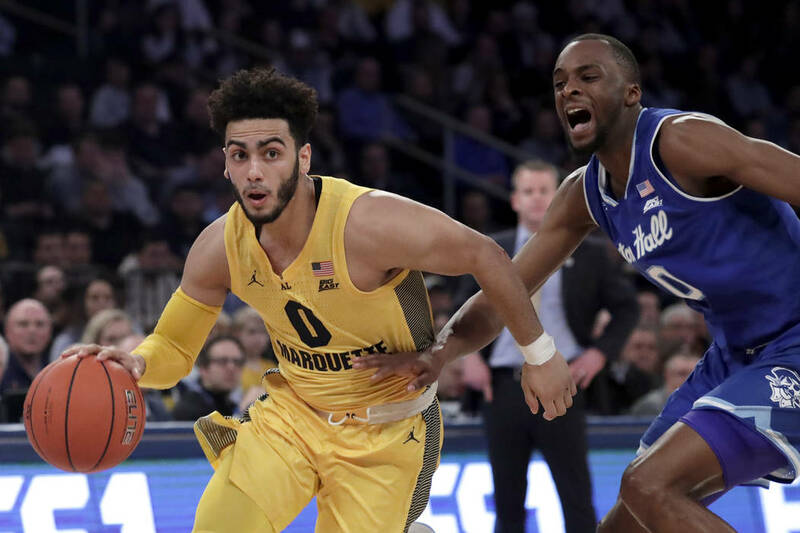 Markus Howard is one of the nation’s best pure scorers, but the Golden Eagles looked lost when opponents took him out of the game and faltered late in the season. They need others to help with the scoring, because teams aren’t going to let Howard beat them with the season on the line. 6. Buffalo (31-3). Most of the college basketball world knew coach Nate Oats had a good team, but few thought it would be this good. The gaudy record includes road wins against West Virginia and Syracuse. Most of these Bulls got a taste of March success in a win over Arizona last year. 7. UNR (29-4). The Wolf Pack have been sluggish at times, and it has cost them. But despite the inconsistent play, they have the talent and experience to make a run. 8. Syracuse (20-13). The Orange are always a difficult matchup for teams that don’t see a zone often, particularly with their length and the level at which they execute it. Coach Jim Boeheim’s shortest starter is 6 feet 5 inches. They should have Tyus Battle back, giving them some needed scoring punch. 9. Baylor (19-13). 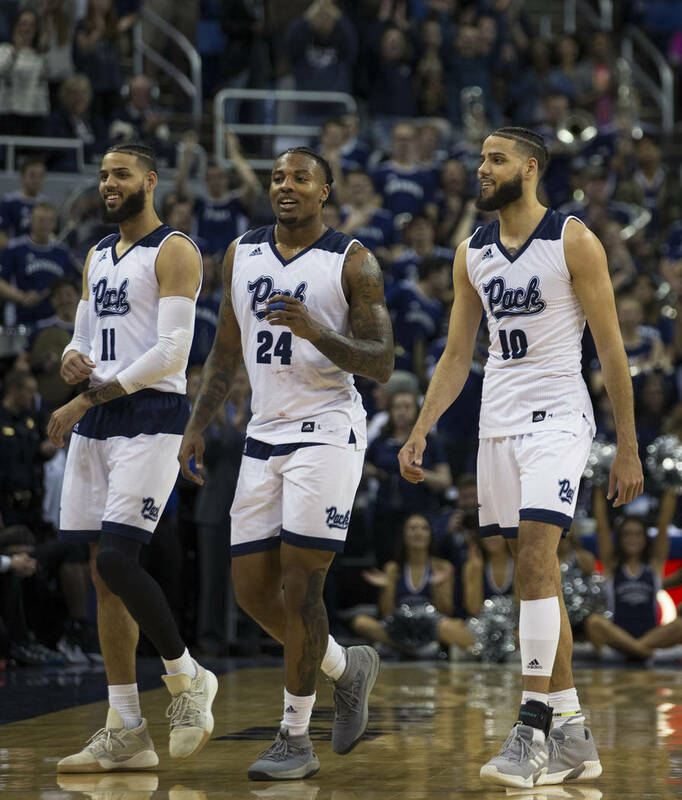 The Bears relied a lot on point guard Makai Mason, a graduate transfer from Yale who torched them in the NCAA Tournament three years ago. He was especially vital late in the season when Baylor was short-handed, but has been slowed by a foot injury. 10. Florida (19-15). A case could be made that the Gators don’t belong in the field, though the soft bubble certainly helped their cause. Two wins over Southeastern Conference regular-season champion Louisiana State did, too. Coach Mike White’s squad is offensively challenged and must find ways to generate points. 11. Arizona State (22-10). The Sun Devils won some of their toughest games but also lost to an atrocious Vanderbilt team. Like last year, Arizona State makes poor decisions with the ball and takes too many bad shots. But make no mistake, this team is talented. 11. St. John’s (21-12). The Red Storm have lost four of their past five games, including an 86-54 defeat to Marquette in the Big East Tournament. They need point guard Shamorie Ponds to play like the star he is. Arizona State and St. John’s met in a play-in game Wednesday night. 12. 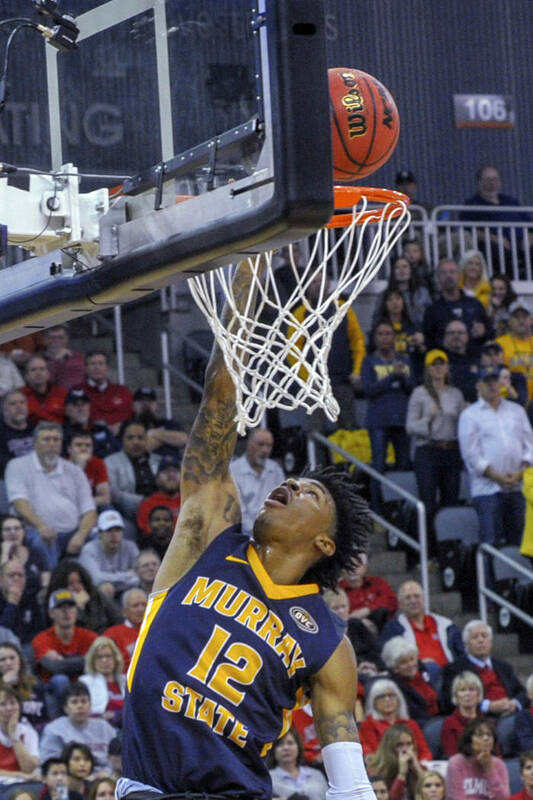 Murray State (27-4). Sure, Ja Morant turns the ball over too much. Don’t nitpick, just enjoy the show. 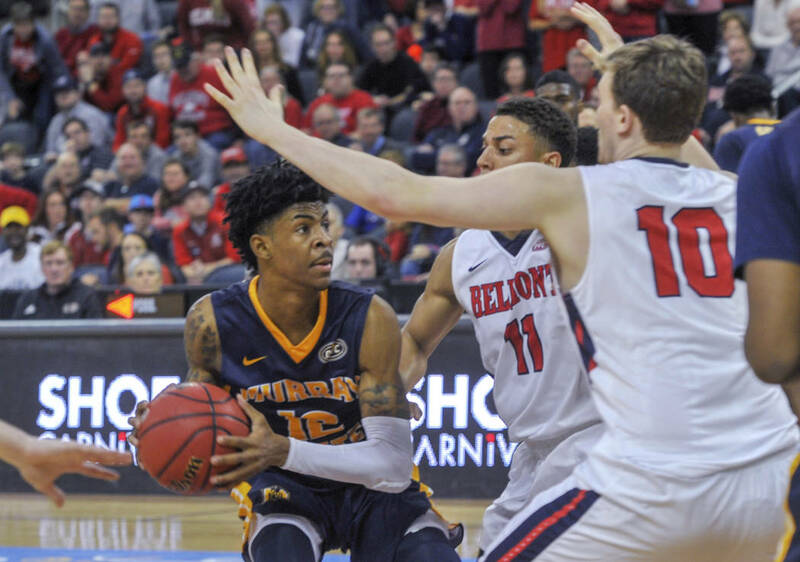 The miscues are going to happen when one player dominates the ball so much, and coach Matt McMahon is OK with Morant handling the ball on every possession. The sophomore guard averages 24.6 points, 10.0 assists and 5.5 rebounds. 13. Vermont (27-6). Its two conference losses were against University of Maryland-Baltimore County, which upset No. 1 Virginia in last year’s NCAA Tournament, but the Catamounts avenged the defeats with a blowout win in the America East Tournament final. Vermont coach John Becker put together a nonconference schedule full of midmajor tournament teams to get his squad ready for the NCAAs. 14. Northern Kentucky (26-8). Norse center Drew McDonald is comfortable stepping out and shooting from the perimeter. That makes Northern Kentucky, which ranks in the top 20 nationally in field-goal percentage, difficult to defend. 15. Montana (26-8). Travis DeCuire is a hot name in coaching searches for good reason. He has the Grizzlies back in the tournament after sweeping the Big Sky regular-season and tournament titles again. But star Jamar Akoh hasn’t played since Feb. 7 because of a wrist injury. Montana also drew Michigan last year in the first round. 16. Fairleigh Dickinson (21-13). The Knights don’t have much depth, pretty much using a six-man rotation, but haven’t lost since Valentine’s Day. They shoot well from the outside and do a good job of creating turnovers and scoring off them. They defeated Prairie View A&M 82-76 in a play-in game Tuesday. 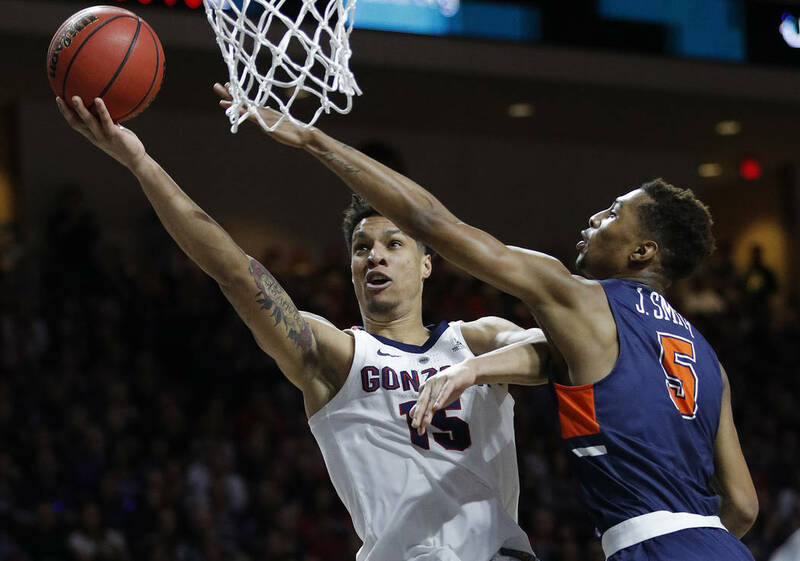 Brandon Clarke, Gonzaga: The former San Jose State star left one of the nation’s worst programs in search of better competition and a chance to play for something meaningful. He is a legitimate rim protector and force on offense for a team with the talent to win the national title. 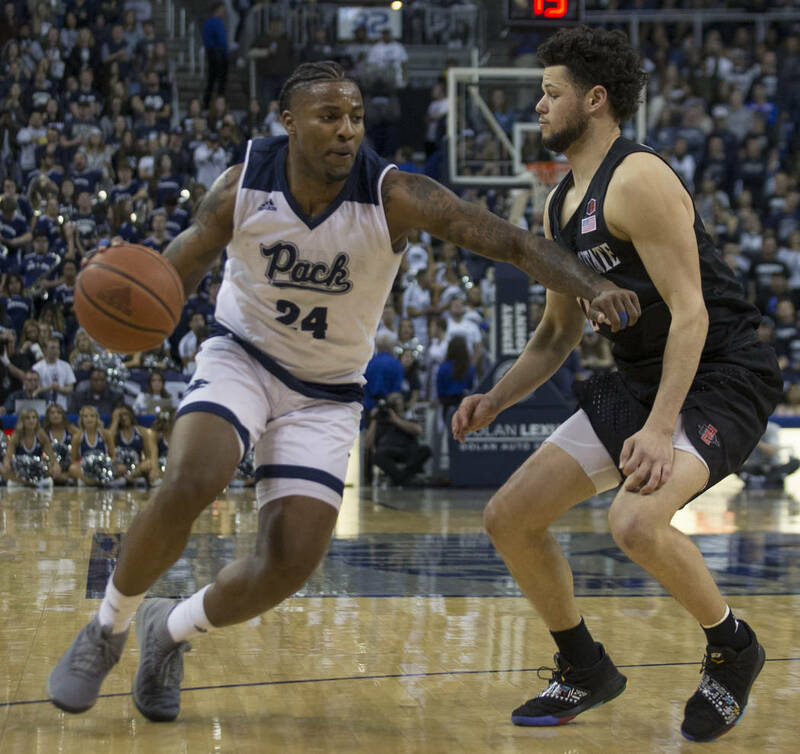 Jordan Caroline, UNR: The Wolf Pack’s 6-foot-7-inch senior forward is more known lately for his tantrums and outbursts, but let’s not forget how good he is. He’s an elite rebounder for his size. Makai Mason, Baylor: He loves the spotlight, so he’ll probably find a way to have a major impact despite the foot issues. 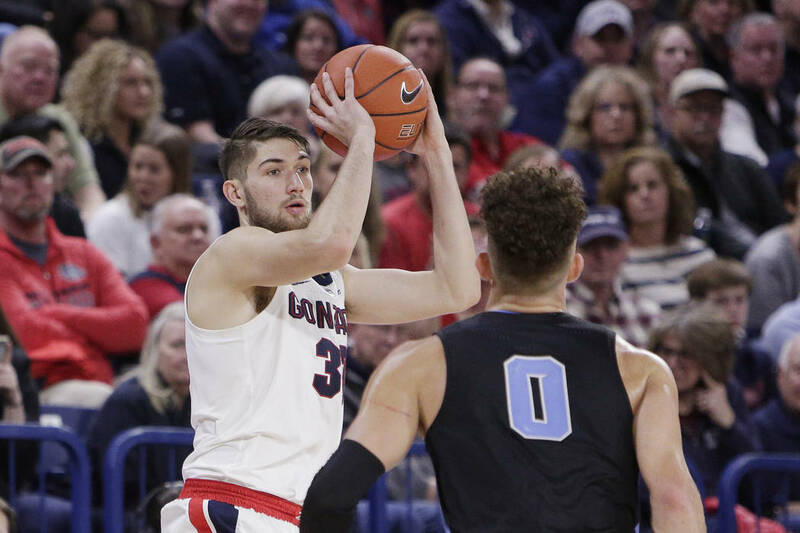 CJ Massinburg, Buffalo: The Mid-American Conference player of the year was particularly effective in big games, so he should be at his best in the tournament. He scored 43 points in a road win over West Virginia early in the season and had 25 points in a victory at Syracuse. 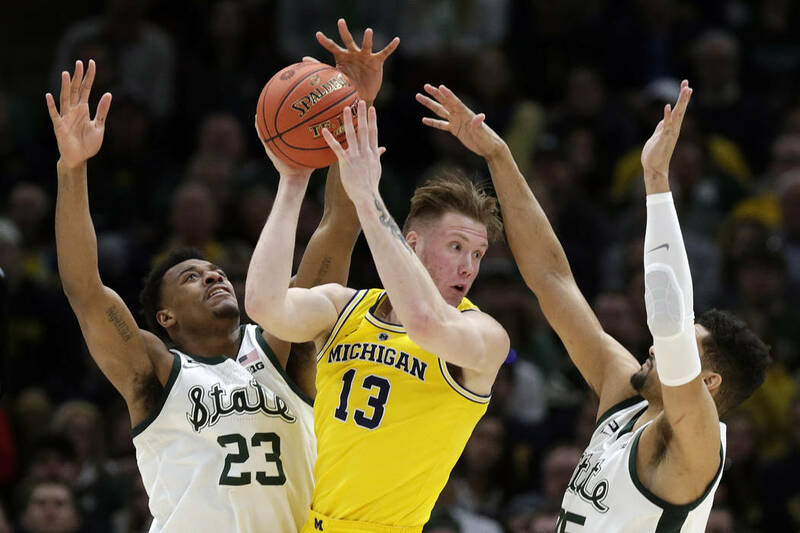 He scored 31 points in a nationally televised game against Eastern Michigan. 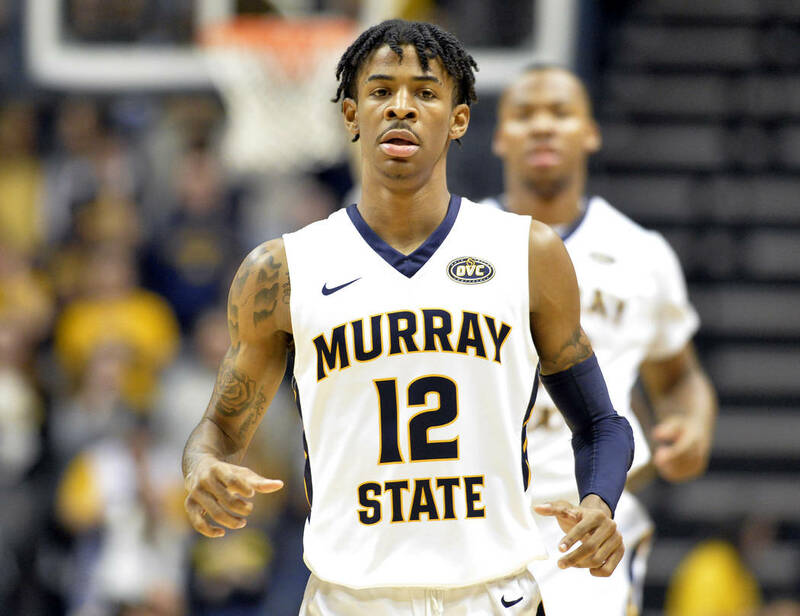 Marquette vs. Murray State, first round: Ja Morant vs. Markus Howard. Every college basketball fan should send a thank you card to the selection committee for making this matchup possible. Both control the ball the vast majority of the time. Think about this: Howard scored 45 points or more twice this season, and he’s probably not the more explosive player of the two. 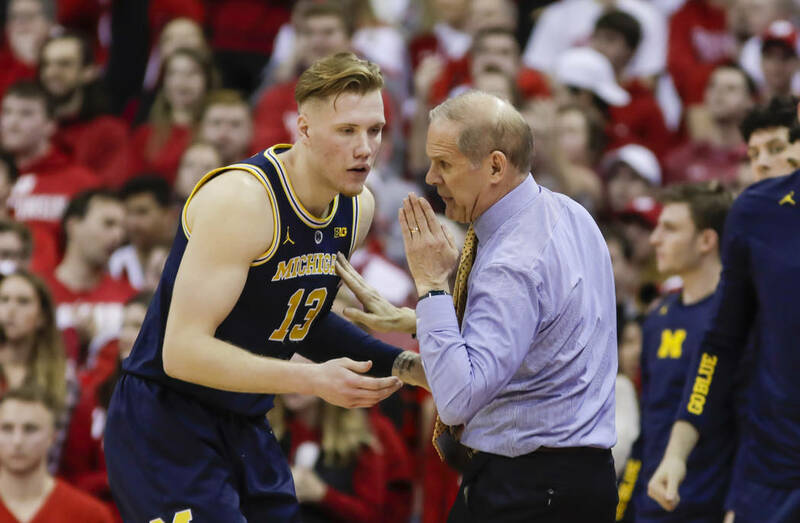 Buffalo vs. Michigan, Sweet 16: Michigan coach John Beilein started out as a high school coach in the Buffalo area. Buffalo coach Nate Oats started out as a high school coach just outside Detroit, not far from the Michigan campus. Both have their teams playing at a high level. 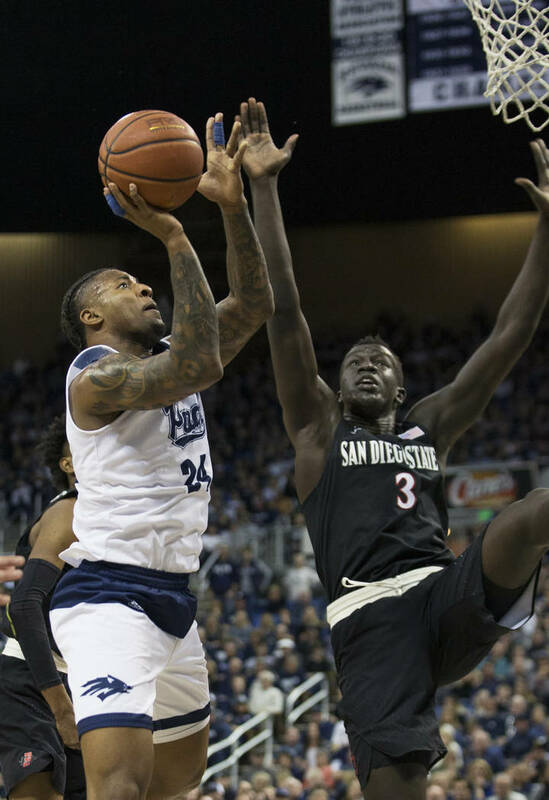 UNR vs. Texas Tech, Sweet 16: The Wolf Pack against Red Raiders coach Chris Beard for the right to play in the Elite Eight. Is there anything that could make UNLV fans more angry? Buffalo: The Bulls are a No. 6 seed, so they’re not necessarily a long shot. Their offense is scary good and makes them a threat to reach the Final Four. Baylor: The mercurial Bears could lose to Syracuse in the first round. But they’re also talented enough to win that game, then upset top-seeded Gonzaga. That’s the kind of wild swings you see from them. Michigan: John Beilein is one of the nation’s best X’s and O’s coaches. Michigan plays lockdown defense, and Beilein’s offense gets his players enough open looks to be in any game.